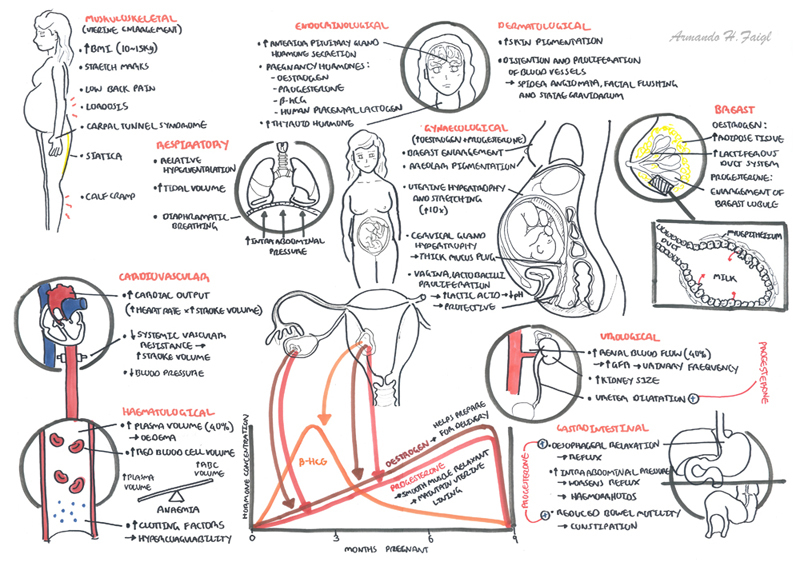 Overview affects 5-10% of pregnancies. Incidence varies between nutritional and genetic factors. 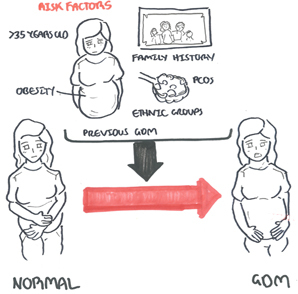 Risk of GDM increases with age. Women born in Southern Asia are at particularly higher risk. 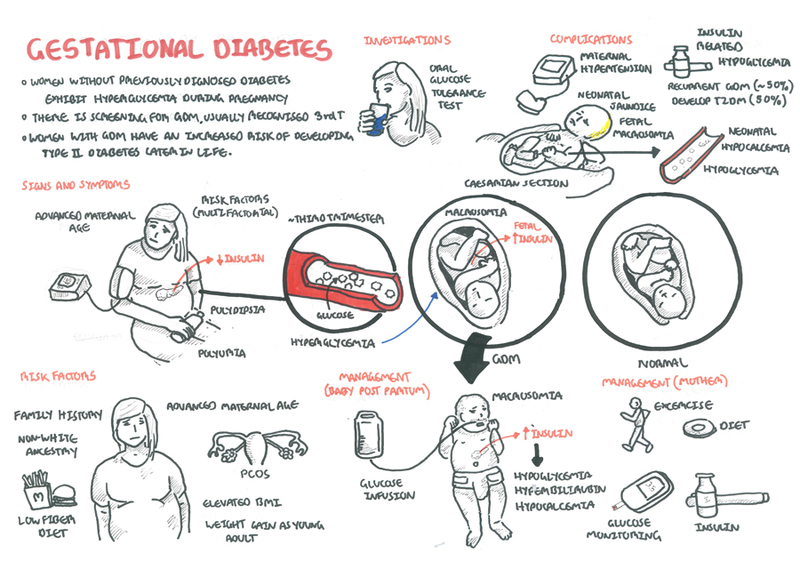 50% change of mother to develop Type II Diabetes later in life. Current use of glucocorticoids and antipsychotics? In Australia oral glucose tolerance test (75g) at 24 and 28weeks. 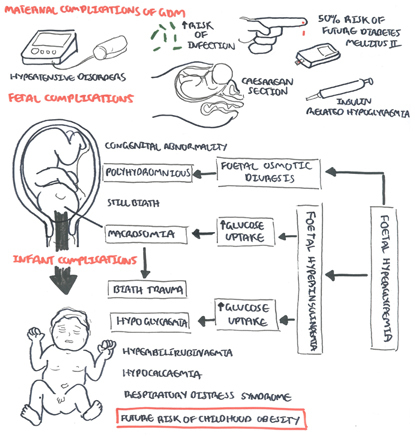 Remember it is important to test for gestational diabetes because it can cause congenital abnormalities, miscarriages, organomegaly, hydramnios, pre-eclampsia, maternal and infant birth trauma, perinatal mortality and neonatal metabolic and respiratory problems. Early increase in insulin sensitivity causes progressive insulin resistance. Placenta produces growth hormone, CRH, placental lactinogen and progesterone. 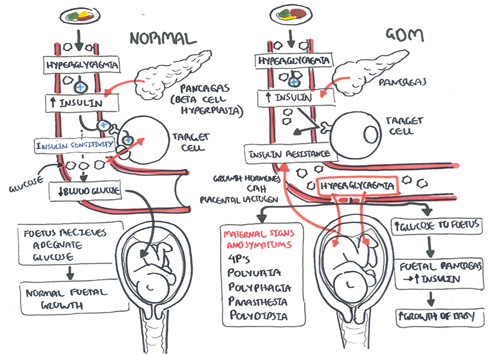 Management Diagnosis GDM then management of a multidisciplinary team (i.e endocrinologist, diabetic educator). Monthly ultrasound to check for foetal macrosomia. Diet, exercise and blood glucose monitoring. If glucose unstable change to insulin. Postpartum (after delivery) stop insulin and glucose infusions, check blood glucose prior to discharge, follow up 6 weeks for oral glucose tolerance test, educate (as 50% risk of developing diabetes mellitus over the next 25years). Remember Why treat GDM? Reduction in composite outcome of death, shoulder dystocia, bone fracture and nerve palsy. 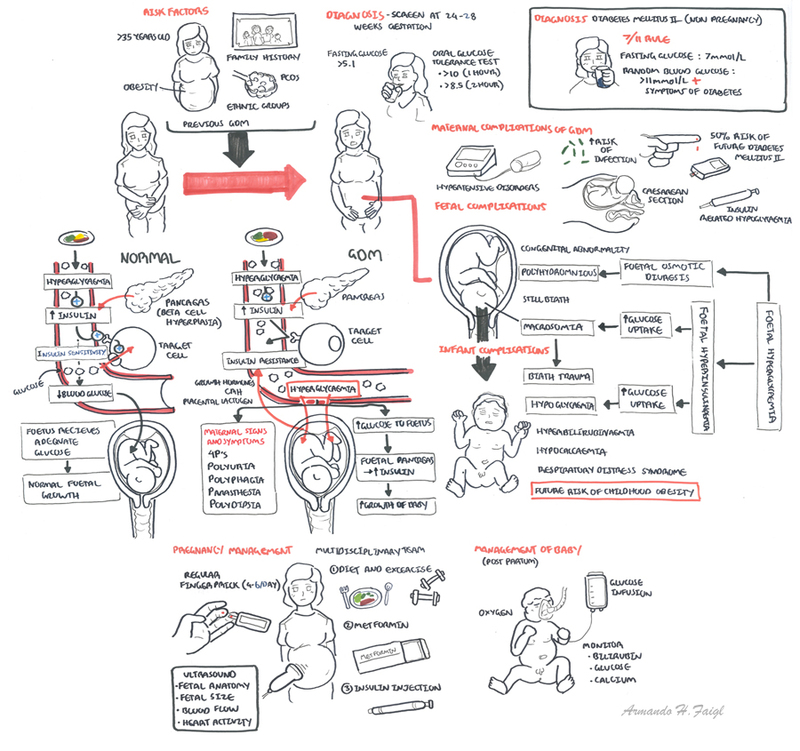 Reduction in infants weighing >90th birth-centile.